High standards of noise, vibration and harshness (NVH) performance are expected in vehicle design. Refinement is therefore one of the main engineering/design attributes to be addressed when developing new vehicle models and components. 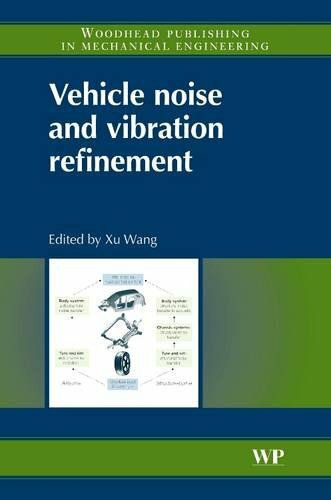 Vehicle noise and vibration refinement provides a review of noise and vibration refinement principles, methods, advanced experimental and modelling techniques and palliative treatments necessary in the process of vehicle design, development and integration in order to meet noise and vibration standards. Case studies from the collective experience of specialists working for major automotive companies are included to form an important reference for engineers practising in the motor industry who seek to overcome the technological challenges faced in developing quieter, more comfortable cars. The reader will be able to develop an in-depth knowledge of the source and transmission mechanisms of noise and vibration in motor vehicles, and a clear understanding of vehicle refinement issues that directly influence a customer's purchasing decision.